With Vizio makeup courses – you get the best online makeup education ever available. Adjudged as a world leader and best makeup school in USA and across the world, Vizio Online Makeup Courses brings out the best of skills in candidates. 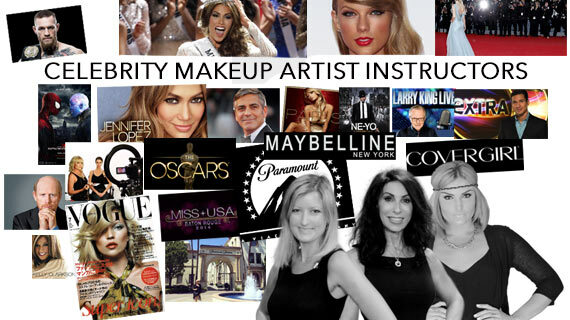 This makeup school is renowned for its excellence in educating professionals seeking career skills in fashion, film, television and more! You can now choose from any of our wide range of exciting professional certificate online make-up courses, guaranteed to prepare you to become the best. With our highly advanced multi-touch technology platform, it's as easy as 1, 2, 3. To start today, first select your course and then enroll. Within 24 hours, you will receive a unique user-id and password to begin your makeup course. It's as easy as that!. Begin makeup artistry dream career! Vizio Makeup Academy professional kit comes with everything you need to accomplish an amazing look. The professional makeup kit come included with selected courses. With over 198 colors the sky is the limit of the creativity you can create. You will receive your makeup kit only a few days after you enroll. 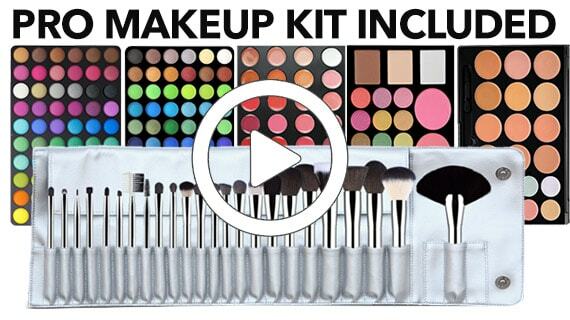 We have also included the amazing makeupblend 24 piece brush set. Vizio Makeup Academy will guide you and teach you how to use every single one of this amazing brushes. Once enrolled, you will receive immediate feedback and further have access to industry leading Hollywood celebrity makeup artist instructors (the very best in the field). 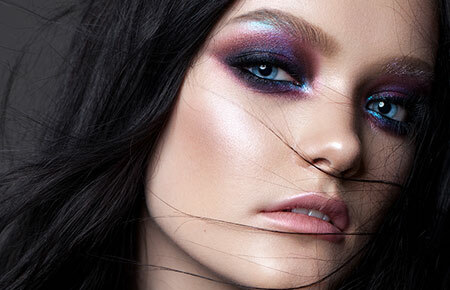 With their trade secrets, various makeup techniques, and wide ranging experience in the makeup industry, you will participate in numerous tests and assignments. Each and all of these makeup course assignments can be successfully completed at your own convenience. The Vizio Makeup Academy Professional Certification is issued to students who have completed all the required makeup courses and requirements successfully. Having this professional certification means you have fully completed a Vizio Professional Makeup Artistry Course, and hence prepared for an immediate career in professional makeup artistry. Whether you want to work as a freelance artist, commercial makeup artist, bridal makeup artist, fashion makeup artist, or work as makeup artist for television and film; our professional team will prepare you for each area of expertise. Vizio Makeup Academy students can apply for various pro cosmetic discounts upon enrolling into any of our professional makeup courses. 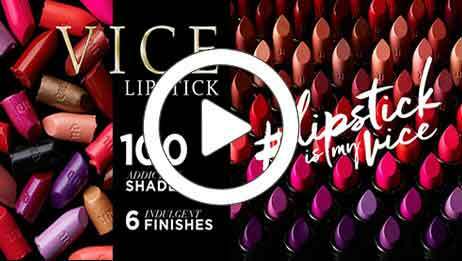 We are proud to be partners with several major cosmetic companies like Urban Decay, Mehron, Morphe, Temptu and more. Your makeup kit is your arsenal, and upon graduation you will know how to build your pro makeup kit as our experts will guide you every step of the way as to the best makeup products you should invest in. Students will also be fully guided on the proper cosmetics required to work for TV shows, films, FX, runway, print and more.